Heat resistant red leather sleeves to protect your arms when welding. 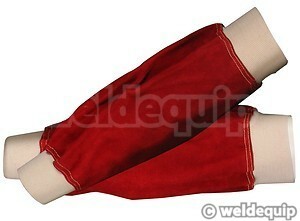 Kevlar stitched elasticated cuffs for universal fitting. Essential welding attire, particularly in the summer months if working in a T-Shirt!